Social Media Virtual Assistant – With all the constant changes in social media today, they can be so instrumental. Blogging – writing, setting up, etc. Reporting – very important, what’s working, what’s not. Transcription Virtual Assistants – Still much in demand today. Transcribing seminars, podcasts, etc. Huge help for speakers, coaches, etc. Also, note often times niches overlap. You can have several niches, just make sure you rock at them all. If you’re interested in learning more about virtual assistant niches, let’s chat! Mention this article and get in on my buy one, get one free coaching call special. 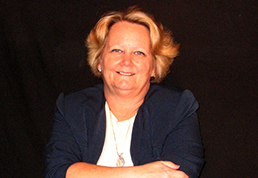 Diana Ennen is the President of Virtual Word Publishing, www.virtualwordpublishing.com, where she offers PR and Marketing, book marketing, PR and Virtual Assistant Coaching, VA services, writing and editing, ghost writing, and so much more. She has been featured in all major media including Forbes, Fox, Entrepreneur Magazine, Inc. Radio, Woman's World Magazine, and too many to mention and gets her clients in these publications as well. Email her for more information at diana@virtualwordpublishing.com. Posting is free to be reprinted as long as this bio remains. A leader in the PR and VA Industry, Diana is the one to turn to when your books or products aren’t selling or the lack of clients is hampering your business success. Her proven marketing and coaching techniques will get you where you need to be and FAST! Sign up for our free PR tips and also get our PR Informational package. 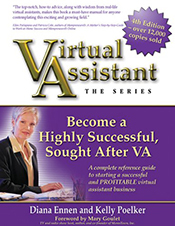 The best-selling Virtual Assistant – The Series: Become a Highly Successful, Sought After VA is considered the Bible of the VA Industry. Now in over 50 colleges! #PRTips – 5 PR Myths That Just Aren’t True!